Heartworms are typically associated with dogs, but infestation in cats might be as high as 16 percent. Today is the final day of the American Heartworm Society’s triennial symposium in New Orleans. Heartworms have been in the news recently because of the recently announced consensus that some strains of heartworm are resistant to heartworm preventatives. Today is a good day to talk about heartworm. Heartworm disease is a common problem in dogs, and virtually every dog owner is aware of the parasite. However, a surprising number of cat owners do not realize that heartworm can infest their pets as well. And, because of their small size and their unique physiology, heartworm can pose a very serious risk to cats. Heartworm is surprisingly common in cats. A recent article estimated that the prevalence of heartworm infestation among cats might be as high as 16 percent. Fatality from heartworm infestation is estimated to be 10 percent to 20 percent. Heartworm is a blood parasite that is spread by mosquitoes. Dogs are the definitive host for heartworms, but the parasites can infest cats as well. Cats are infested with microscopic larvae which then can mature over several months to worms that are five inches to eight inches long. The worms live in the heart and the arteries leading into the lungs. Heartworms generally survive for two years in cats. 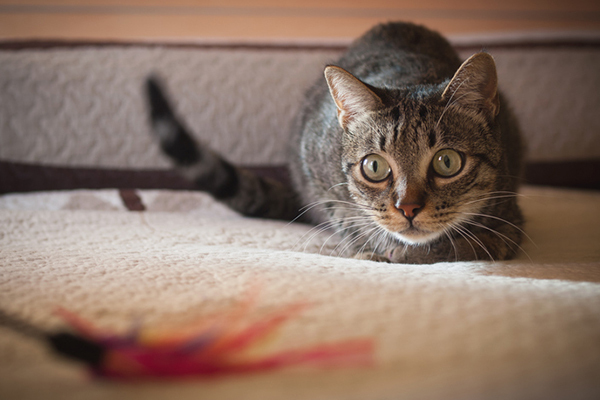 Heartworm larvae and adult worms wreak havoc on cats’ bodies in two stages. During early infestation the arteries and lungs react strongly to the presence of the arriving larvae, leading to significant inflammation of these structures. Once the worms reach adulthood, they appear able to suppress the cat’s immune system sufficiently to prevent further inflammation, and therefore many cats do not experience symptoms during this time. However, when any heartworm in a cat dies (usually about two years after initial infestation), it can lead to severe complications resulting from pulmonary embolism (which cuts off blood supply to the lungs) and severe inflammation of the lungs triggered by the decomposing worm. Because of their size and physiology, cats can be affected by very small numbers of heartworms. Even a single worm can cause significant symptoms or even death. The initial symptoms of heartworm coincide with the establishment of larvae in the arteries leading into the lungs. This occurs several months after the cat is first infested with the parasite. The larvae cause marked inflammation in the arteries and the lungs, leading to symptoms including coughing, difficulty breathing, and lethargy. These symptoms are often very similar to those exhibited by cats suffering from feline asthma. Vomiting, poor appetite, and weight loss are also common symptoms of heartworm infestation. The second stage of heartworm pathology, associated with worm death, is especially dangerous. Cats might suffer from severe respiratory distress, collapse, anaphylaxis, or even sudden death. 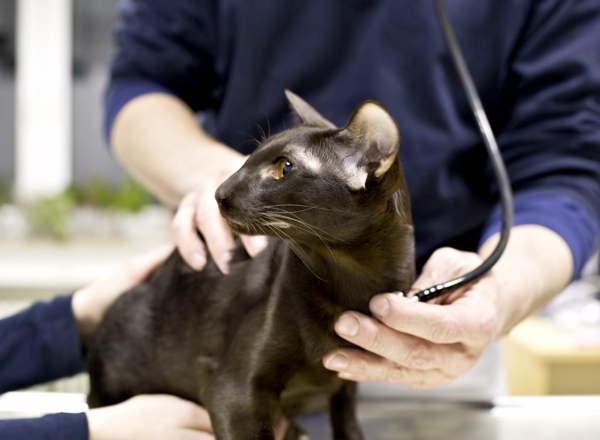 There are two commonly used blood tests for heartworm in cats: antigen tests and antibody tests. 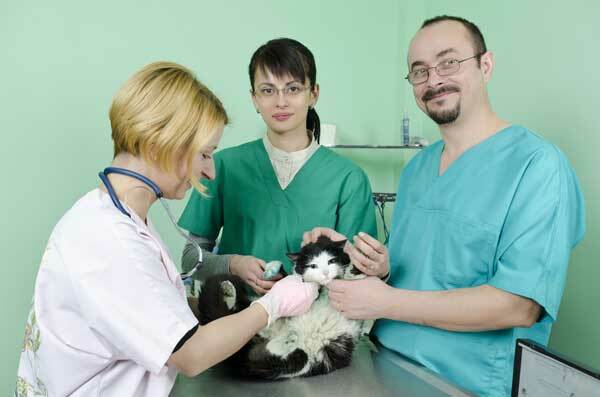 The antigen tests assess for the presence of a product released by heartworms into the blood stream of cats. However, this test is highly imperfect, because only female heartworms release the antigen. Cats are often infested with only one or two worms, and if no females are present then a false negative will occur. 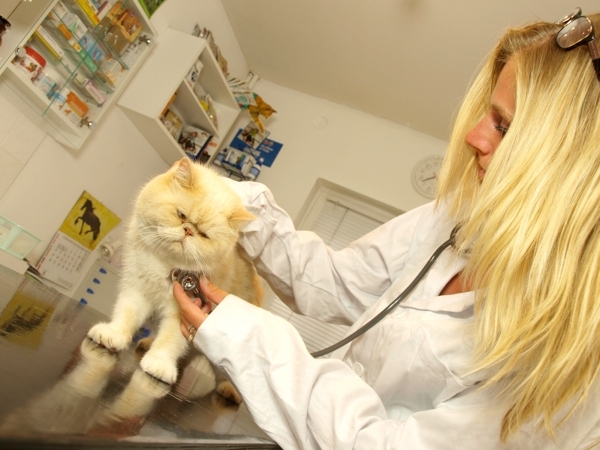 Antibody tests assess for the presence of proteins produced by the cat in response to heartworms. 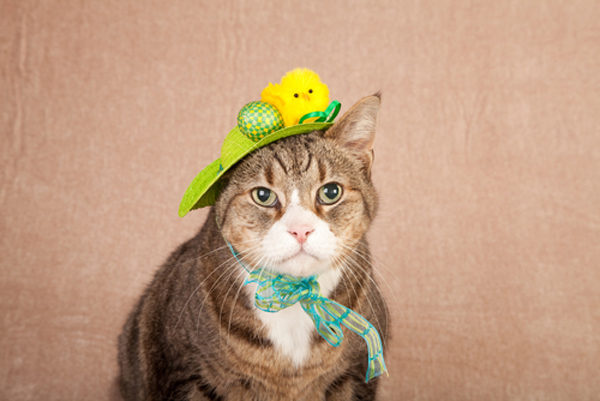 The antibody test can detect both male and female worms, but some cats appear to produce antibodies only transiently; others will still have circulating antibodies after the infection has resolved. Radiology (X-rays) and echocardiography (ultrasound) might show evidence of heartworm disease as well. Treatment of heartworm disease in cats is especially challenging because death of the worms can lead to marked complications. Melarsomine, which is the only FDA-approved treatment for heartworms in dogs, is not tolerated well by cats; furthermore, the sudden worm death that it causes could lead to fatal complications in many instances. At this time melarsomine is not recommended for use in cats. 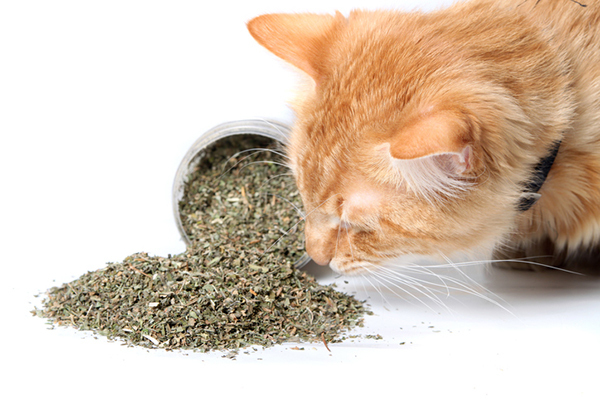 Instead, treatment generally focuses on reducing infected cats’ reactions to the worms. Steroids are often administered to reduce inflammation. Studies are underway to assess whether treatment with an antibiotic called doxycycline might help in treatment of the condition by suppressing a bacteria (Wolbachia) upon which some heartworms seem to depend. 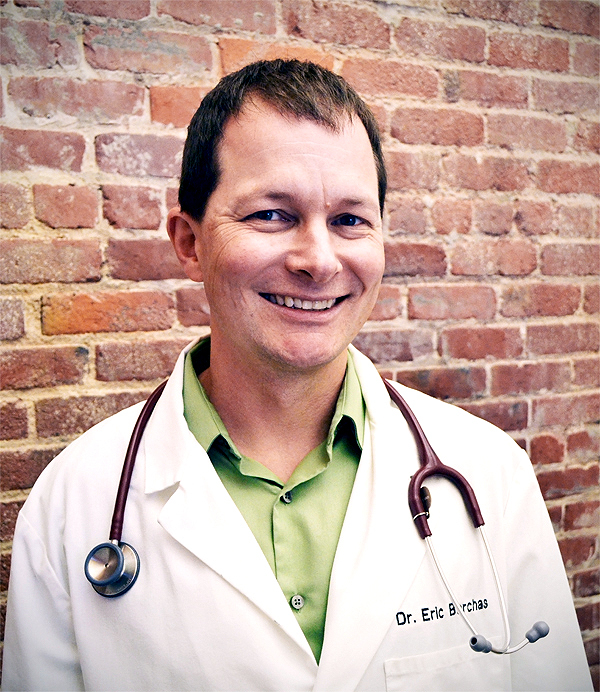 Since worm death poses significant risks to infested cats, a good treatment option is to surgically remove the worms. This option is only possible in certain instances, when the worms are located in accessible spots. And the procedure is a complex one that is generally only performed at specialty referral centers such as veterinary school teaching hospitals. By now it should be clear that it is best for cats never to be infested with heartworms in the first place. Cats who live in heartworm-endemic areas can be placed on preventative medications that are administered at regular intervals. These medications kill heartworm larvae before they develop into the stages that cause significant pathology. I recommend that all cat owners talk to their vets about whether heartworm preventatives are appropriate for their pets. Mosquito avoidance is also a recommended tactic. 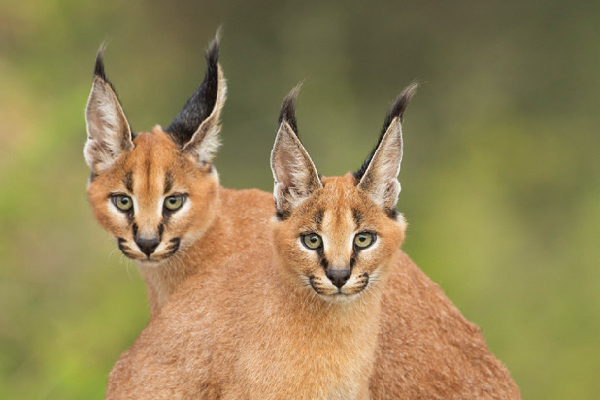 Indoor cats are less likely to be bitten than their outdoor counterparts, and outdoor cats are most likely to be bitten at night and especially at dawn and dusk. However, even indoor cats can be bitten by infested mosquitoes (I live in the second-most densely populated city in the United States and I am occasionally bitten by mosquitoes inside my home). Remember that no insect repellent should ever be applied to any cat. It has been recently confirmed that some strains of heartworm are resistant to heartworm preventatives. These strains appear to be limited to the south (especially the Mississippi Delta region), but their true geographical extent is unknown. The proportion of heartworms that are resistant appears to be quite low at this time. Therefore it is thought to be unlikely that resistant heartworms yet pose a significant risk to cats, especially since cats are not definitive hosts for the worms and they therefore usually are not infested with large numbers of worms. Hopefully new and more effective preventatives can be developed before resistance becomes a significant problem. In the meanwhile, owners of cats living in areas where resistant heartworms exist should continue to administer preventatives and should focus especially on mosquito avoidance.